It is easy to become confused about how to prune hydrangeas, and there are a number of reasons for this. First is down to their dead-looking appearance in winter - just where do your start? 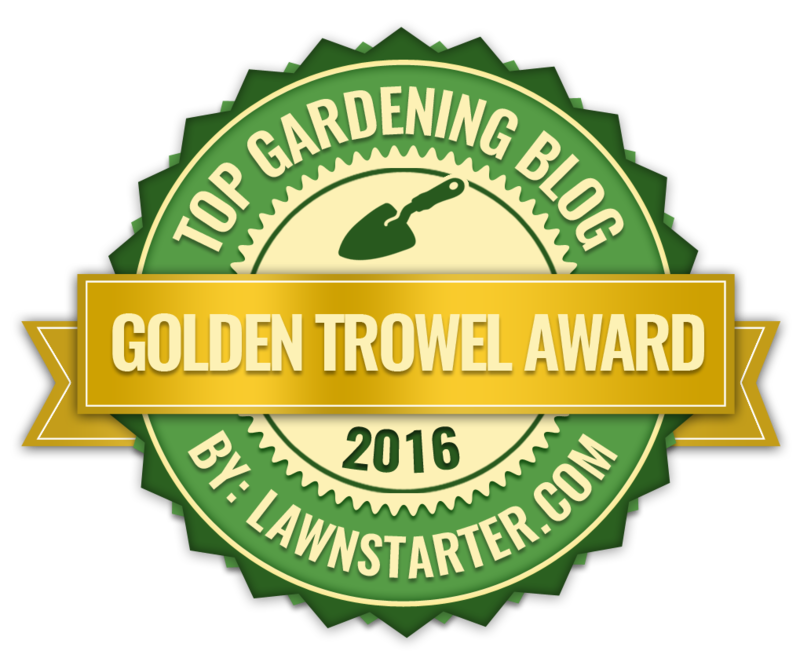 Second, is a hydrangeas failure to bloom in summer - should you have pruned it last year? 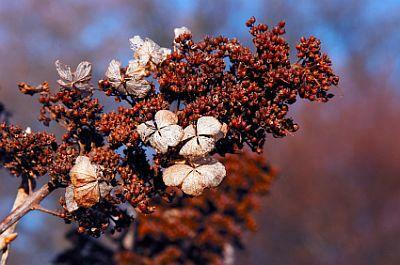 And third is because it is a shrub that absolutely thrives on being correctly pruned. 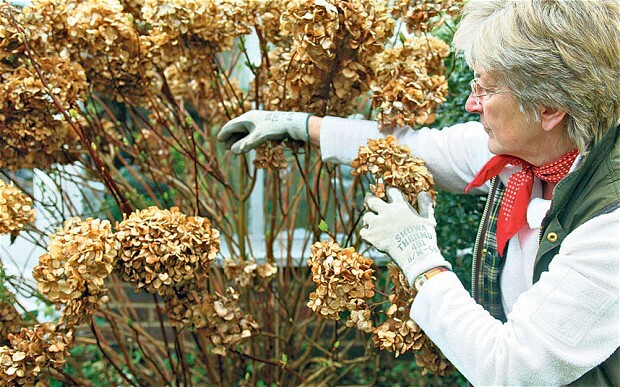 In fact you can go as far and say that - get your pruning technique right - you can improve the vigour of most hydrangeas and increase the size of its flowers. The trouble is that if they are happy where they are and performing well, hydrangeas can live a long, floriferous life without ever feeling the cold blade of a pair of secateurs. Get it wrong though, and you can end up with a year without flowers. 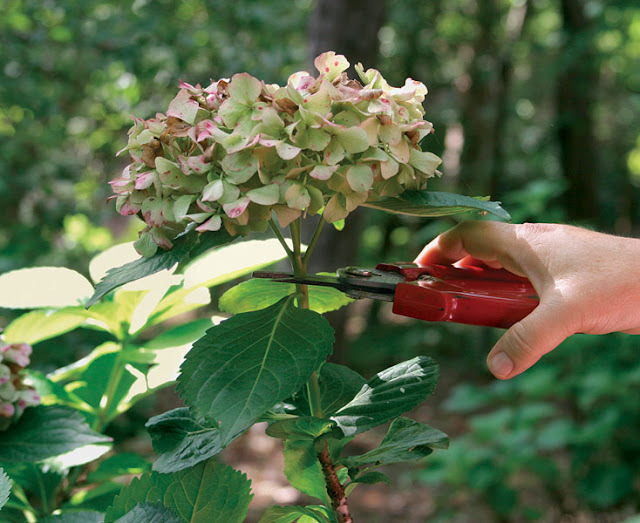 Most pruning on Hydrangeas is carried out in late winter or early spring. However, the climbing hydrangea - Hydrangea petiolaris, is pruned after flowering in summer. 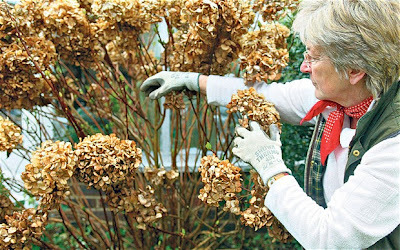 Removing the dead blooms on mophead hydrangeas can, in mild areas, be undertaken just after flowering, but it is best to leave them on the plant over winter to provide some frost protection for the tender growth buds below. Cut out one or two of the oldest stems at the base to encourage the production of new, replacement growth that will produce a better display of flowers. In fact, you may be surprised to know that poor or neglected plants can be entirely renovated by cutting off all the stems at the base. However, this will remove all the flowers for that summer, and the new stems will not bloom until the following year. Be that as it may, this is normally a fair price to pay. Climbing hydrangeas should have any over long shoots cut back immediately after flowering. Most of their flowers will be produced towards the top of the plant, so try to leave as much of this wood 'un-pruned' as possible. Established plants will tolerate hard pruning in spring, but avoid extensively cutting back all in one go as this is likely to reduce flowering for the next couple of summers. To prevent flower loss, stagger drastic pruning over three or four years, reducing the size of the plant gradually. Hydrangea paniculata and H. arborescens are treated differently. Although the only essential work is to remove dead wood in spring, these species hydrangeas will flower more prolifically when hard pruned. 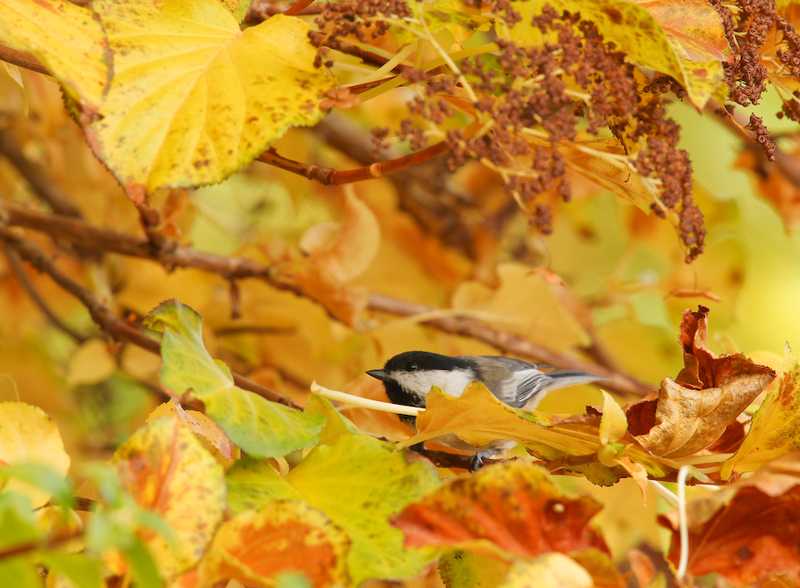 Each spring, cut back last year’s stems to the lowest pair of healthy buds, creating a low framework of branches. This usually results in a pruned framework of no more than 10 inches high but, if more height is required, cut to about 2 ft tall instead. Most other hydrangea species, including H. aspera, H. quercifolia, H. sargentiana and H. villosa, need only minimal pruning in spring to remove dead and over-long stems.